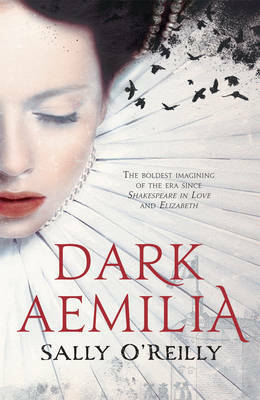 In the boldest imagining of the era since Shakespeare in Love and Elizabeth, this spellbinding novel of witchcraft, poetry and passion brings to life Aemilia Lanyer, the 'Dark Lady' of Shakespeare's Sonnets - the playwright's muse and his one true love. The daughter of a Venetian musician but orphaned as a young girl, Aemilia Bassano grows up in the court of Elizabeth I, becoming the Queen's favourite. She absorbs a love of poetry and learning, maturing into a striking young woman with a sharp mind and a quick tongue. Now brilliant, beautiful and highly educated, she becomes mistress of Lord Hunsdon, the Lord Chamberlain and Queen's cousin. But her position is precarious; when she falls in love with court playwright William Shakespeare, her fortunes change irrevocably. A must-read for fans of Tracy Chevalier (Girl With a Pearl Earring) and Sarah Dunant (The Birth of Venus), Sally O'Reilly's richly atmospheric novel compellingly re-imagines the struggles for power, recognition and survival in the brutal world of Elizabethan London. She conjures the art of England's first professional female poet, giving us a character for the ages - a woman who is ambitious and intelligent, true to herself and true to her heart.